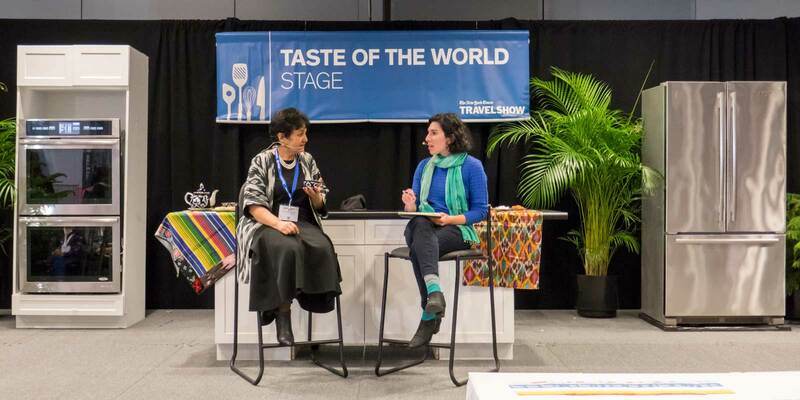 The New York Times Travel Show is an opportunity to meet other travelers, speak to industry people from destinations you may or may not be interested in as well as attend seminars and meet travel celebrities. It’s held within the first few months of the year, and you can buy tickets on the day(s) of the event. The fact that a new subway station opened across the street from the Javits Center in September 2015 makes it more convenient than ever for people to attend. 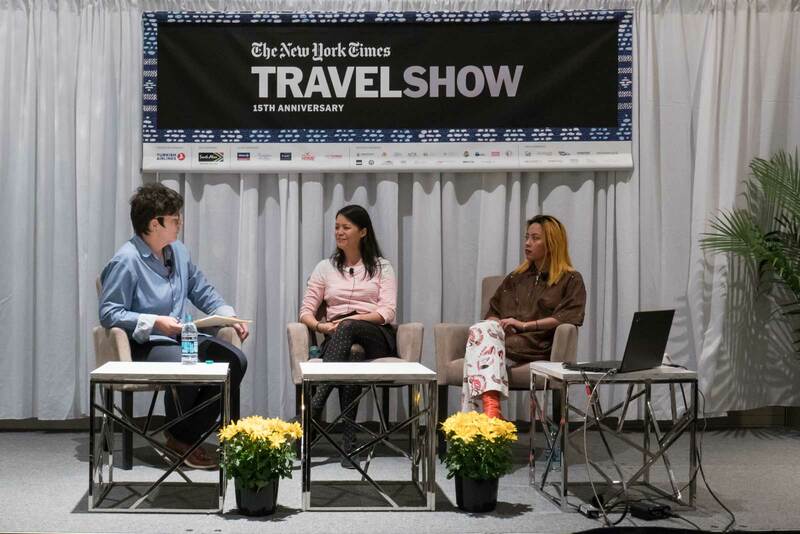 With more than 32,000 attendees, the 2018 New York Times Travel Show boasted the highest attendance in its 15-year history. 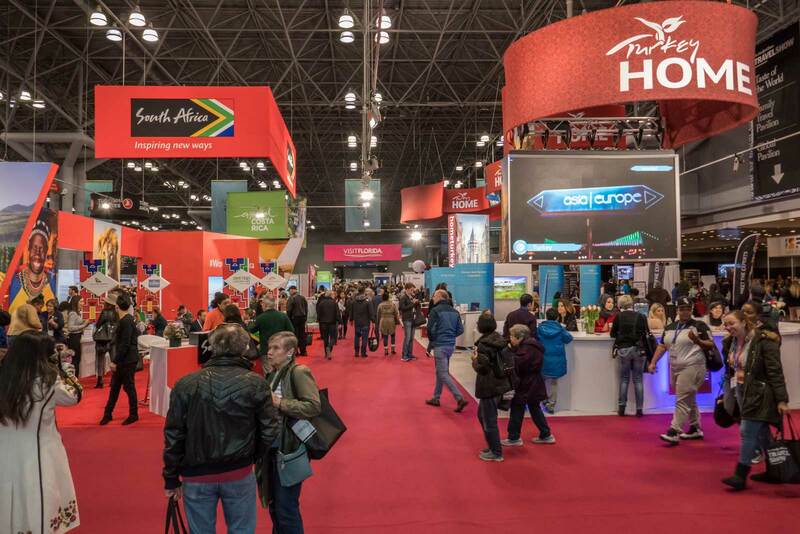 600 companies representing more than 175 countries also set a show record. For the first time in 15 years, there was an LGBTQ pavilion, which was curated by ManAboutWorld editor in chief, Ed Salvato. Trade Day is reserved for members of the media as well as travel industry professionals. 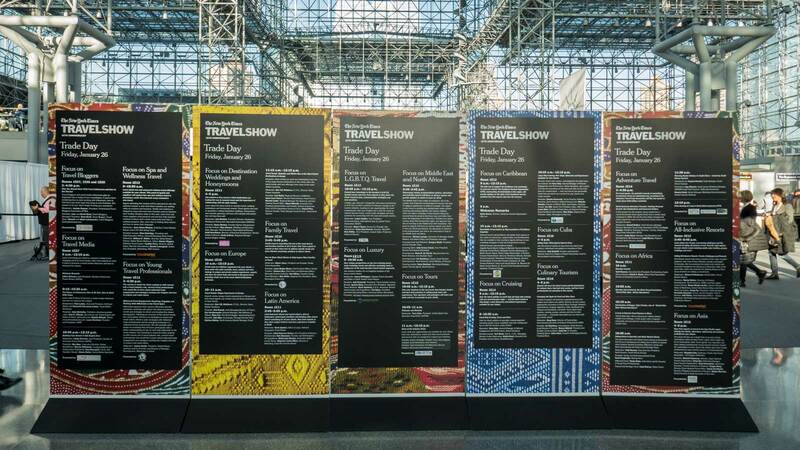 It takes place the day before the New York Times Travel Show opens to the public. 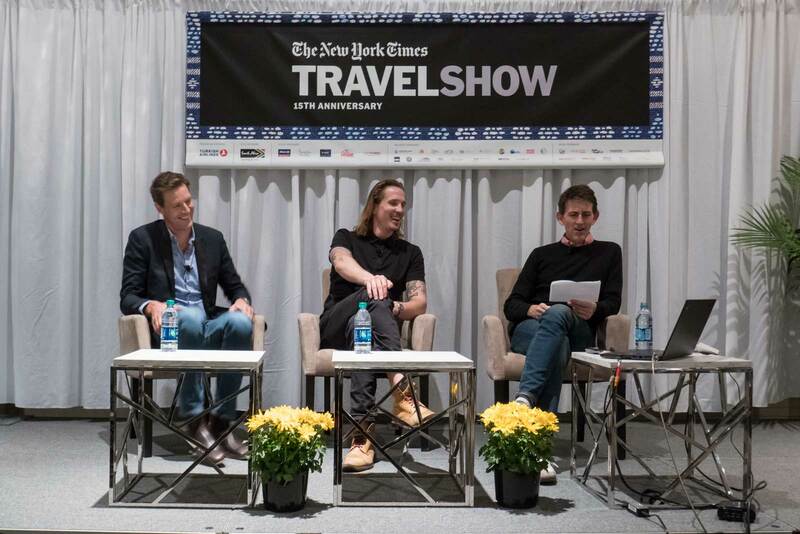 There were 20 focus panels, which covered the latest travel trends, hot destinations, and insight from industry experts. For example, the Focus on Asia panel was moderated by ECI Travel owner, Elizabeth Chin, and had representatives from Japan, Korea, Nepal, and the Philippines. They discussed millennial travel habits, as well as what is unique about each respective Asian country. The keynote address was given by Travel Market Report editor, James Shillinglaw. Saturday’s travel seminars were primarily food and drink-focused. Andrew Zimmern spoke to a standing room only audience about his favorite pizza, sexual harassment in the food industry, world hunger, and his struggles with addiction and depression. While his admitting that he’s been part of the problem with sexual harassment in the food industry drew loud applause, his answer to the “When you are happiest?” question left many in the audience stunned. The veteran traveler of 174 countries explained that happiness has always eluded him, but possibly feeling obligated to give a more lighthearted answer, he said that he’s probably happiest on his boat with his son. Continuing with the food and drink theme, there were seminars on pizzas around the world, the importance of female voices in the world of food, the best cocktails from around the world, as well as mixing of hip-hop culture and gourmet cuisine. Highlights included pizza guru, Anthony Falco declaring Tokyo as one of the world’s great pizza cities and talking about his experience trying to find fresh mozzarella in India. Falco gave a less tortuous answer to the when are you happiest question. “At home with my two boys,” he proudly pronounced. Bronx art and food collective, Ghetto Gastro, discussed the new Whole Foods Market in Harlem with panel moderator, Kim Severson, who mistakenly referred to Malcolm X as a Seventh-day Adventist. Sunday’s travel seminars featured a more eclectic mix of topics ranging from hotels, travel gadgets, books for the road, and of course, some food and drink at the end. Samantha Brown and Pauline Frommer were scheduled to co-host the first seminar of the day, but Samantha Brown canceled due to a bout with flu. The standing room only audience may have been disappointed, but they at least had a chance to see a short montage of clips from her latest series, Samantha Brown’s Places to Love. Pauline Frommer then gave the audience a short book’s worth of travel tips and facts which would likely surprise all but the most dedicated travel industry insider. Pauline encouraged the audience to watch movies from the countries they plan to visit, book cruises through a travel agent, and clear their cookies to avoid annoying spikes in airfare while searching for flights online. She advised against buying insurance from a travel agent (in case he or she goes out of business) and referred to shore excursions as the greatest ripoff in modern travel. Destination-wise, she spoke about Taiwan, Colombia, Jordan, China, Malta, India, the Faro Islands, and Iceland (the country that received more American tourists than they have citizens in 2017). Joseph Rosendo of the PBS show, Joseph Rosendo’s Travelscope spoke about how to make travel more meaningful as well as traveling through Europe as a young UCLA film student. He advised travelers to enjoy the moment instead of getting caught up in logistics and reminded everyone that travel allows you to imagine yourself in a different life. According to Rosendo, 50% of your time should be unplanned. In the day’s final seminar, Nicholas Stone and Eddy Buckingham discussed coffee and food culture down under with moderator, Oliver Strand. Their discussions highlighted some of the primary differences between Australia and the United States, including three-hour lunches which both Stone and Buckingham referred to as common in Australia. They also scoffed at the farm to table movement in the United States as something that everyone takes for granted in their home country. Like American cuisine, Aussie food reflects all of the different cultures that have settled there. If you plan to attend seminars, a two-day pass is preferable. Seminars can take up the better part of a day, leaving little time to explore the exhibitor booths. The cost to add a day to your pass is minimal and having an extra day reduces the likelihood of missing important seminars, booths, etc. There’s a bookstore adjacent to the seminar rooms. For book signings, it’s best to stay in the back of the line. Most authors don’t leave until everyone has gone, so by letting everyone else rush through, you may get a few extra minutes to ask that question that’s been puzzling you since took your first international trip. This post was sponsored by the New York Times Travel Show. Read my review of the 2017 New York Times Travel Show here. Wow, this looks like such a fun and informative event. I’m a fan of anything travel-related. I’d love to attend the Travel Show one year. This looks like it would be such a cool show to be able to attend. I know some friends that are way into fashion that would definitely enjoy something like this. I am so so jealous! This is one of those times I wish I lived or at listed was in New York during this show. This is right up my street, I would love to attend. Wow! This is amazing! I hope to also attend the New York Times Travel show someday and meet a lot of travellers from around the world. Such an event must just be great! This looks like an amazing event. I would love to attend one day. Too bad I am far away for now. Looks great. This event seems like it was awesome! I enjoy attending events that have both a enjoyable and educational element. I work in NYC so I will definitely be on the look out for this event and similar ones! I had wanted to attend that event but got very busy. It sounds like it was a terrific way to connect with other travel experts. This looks like a fascinating event! I don’t do much traveling, but this would certainly be helpful for those who do.